The only problem was the pump running all night made it difficult for me to sleep however my husband slept just fine. Where to find Perth hotels near an airport? Where can I find hotels in Perth that are near tourist attractions? 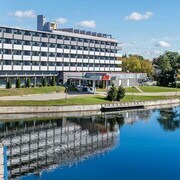 If you are planning a trip to Ottawa - Southeastern Ontario and are looking for an Expedia-listed hotel in Perth, there are a few places to choose from. There are 6 Expedia-listed accommodation options within a 0.1-kilometre (0.1-mile) radius of the heart of town. Clever vacationers who fully appreciate the importance of booking a hotel close to the bright lights and action of the city's heart will love the Best Western Plus Perth Parkside Inn & Spa and Perth Manor Boutique Hotel, which are within a 1-kilometre (0.6-mile) radius of Perth's downtown. The Aquarius Motel and Tay Inn are near the Perth Museum. 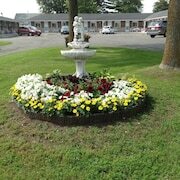 If you'd rather stay near Conlon Farm, you could book a room at the Perth Plaza Motel and Colonial House Motor Inn. 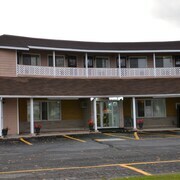 You could check out the Econo Lodge and also the Best Western Colonel By Inn. 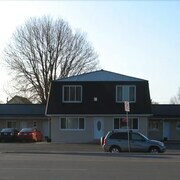 The Econo Lodge is situated 18 kilometres (11 miles) away from downtown Perth. 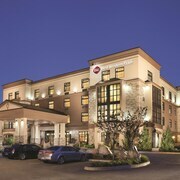 The Best Western Colonel By Inn is situated 17 kilometres (11 miles) away. 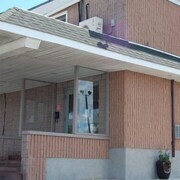 The Roger's Motel and the River Breeze Inn are some alternative Expedia-listed accommodations in Perth. Why don't you discover the other sites to be found in Ottawa - Southeastern Ontario while you are here? Ottawa - Southeastern Ontario has forests and rivers. 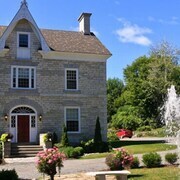 Popular Ottawa - Southeastern Ontario tourist destinations include old towns and art museums. Adventurous travelers might try their hand at cross-country skiing and snow shoeing in this part of Canada. Looking for more to do? Consider spending some time enjoying the Rideau River Provincial Park and the Rideau Glen Golf Club in Kemptville, 50 kilometres (31 miles) to the east of Perth. 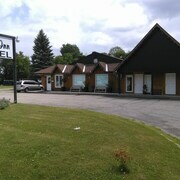 If you'd like to spend a few nights in Kemptville, check out the Knights Inn Kemptville and Abbott Road Suites. Or, you could consider staying in Brockville, 55 kilometres (34 miles) to the southeast of Perth, where you can pick from the Holiday Inn Express Hotel & Suites Brockville and Comfort Inn Brockville. If you're staying in Brockville, set aside some time to check out Brockville Railroad Tunnel South Entrance and the Brockville Arts Centre. Are you looking for the most practical airport for your trip to Perth? Ogdensburg International Airport is 65 kilometres (40 miles) away. What are the most popular Perth hotels? Are there hotels in other cities near Perth? What other types of accommodations are available in Perth? Explore Perth with Expedia.ca’s Travel Guides to find the best flights, cars, holiday packages and more!